People love to hate on portrait video. I mean seriously love to hate it. A simple Google search for “portrait video” shows basically every blog on the internet that wants to tell you why you shouldn’t shoot video in portrait. But here’s the thing: portrait video is here to stay. As much as you try to deny it, or stop people from doing it, it’s not going anywhere anytime soon. It’s still jarring to watch a portrait video on your desktop, which I won’t deny, and people aren’t afraid to express their discontent with it. So why the hate for portrait video? A study conducted by NASA and uncovered by Boing Boing in 2013 looked at human fields of vision. 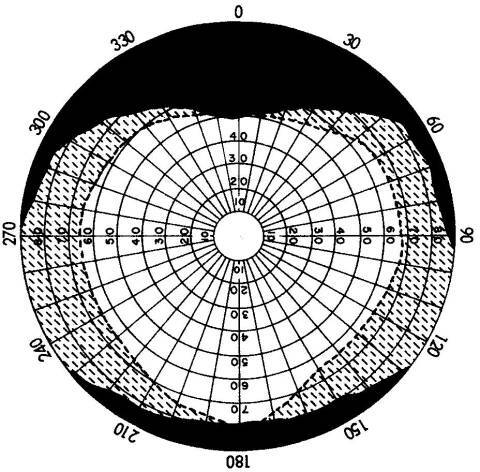 The diagram below, which depicts human vision, crops to around 16:10 aspect ratio which is a common wide-screen format. It’s only logical that it was quickly adopted. Since all screens have been traditionally horizontal by default for decades — until smartphones came along — this made total sense. However, as usage patterns have changed and smartphones have swamped the world, this is being turned upside down. J ust how big is mobile video getting? In a word: enormous. The horizontal, wide-screen experience is becoming secondary, because phones are rapidly outgrowing the desktop for video consumption. I believe that portrait video will be the new default simply in a matter of time as more apps support it. This isn’t a popular opinion, but it’s something that’s happening right now. It’s time to stop hating on portrait video and embrace it. You’re going to be seeing it everywhere, a lot more.